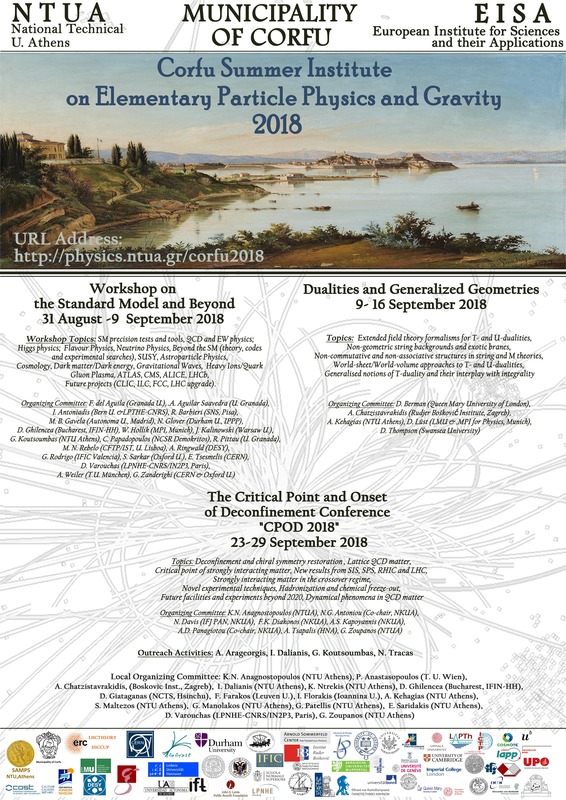 Sep 24 - Sep 28: The Critical Point and Onset of Deconfinement Conference "CPOD 2018"
Common online registration for all events. Please complete the registration form. For details please consult the pages of each event separately. A number of social activities will take place each week, such as dinners, excursions, museum visits etc.